You can choose to deep condition your hair before or after you’ve washed it. You also have the option to deep condition overnight, under a hooded dryer, steamer or just by applying it to your hair, putting a plastic cap/conditioning cap on for 20-30 minutes. It doesn’t matter how you do it, just do it. Once or twice a week will be very beneficial to your hair care regime. You will notice a huge difference in the way that your hair feels, looks and responds. It’s also important to remember, moisture and protein. Sometimes your hair may want a moisturizing deep conditioning and sometimes it may be needing a deep conditioner with protein. If your hair is feeling a little mushy, it’s not holding a style as well, or it’s limp; that could be a clear indication that you need protein. Ex. If your hair is feeling brassy, stringy, hard, or it’s breaking off; that could be a clear indication that you need moisture. Ex. I personally like to alternate between moisture and protein for maximum hair health. Those are some of my favorite products that can be purchased at Sally’s, Ulta, Wegman’s, The Vitamin Shoppe, Wholefoods, and Target. 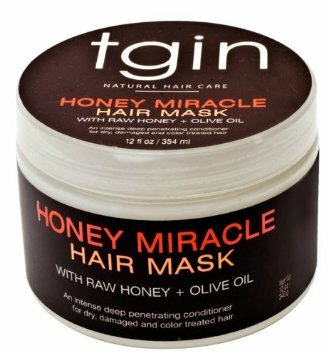 Please let me know what products are your favorites for deep conditioning. I’m always interested in the care that others take with there hair. P.S It doesn’t matter if you’re natural or relaxed. Deep conditioning is important for all hair types and textures. Great blog, we’ve used those products as well. Also Carols Daughter and Miss Jessies, they’re also available at our favorite stores. From our experience, we’ve had to change up just to find which one suites us best. Thank you! I’ve been thinking about trying Carol’s Daughter Black Vanilla line, because I’ve heard really great things about it. I totally agree that something that may be good for ones hair may no necessarily be great for another. Thank you so much for sharing!